Part Number:Contact us for custom pricing on any changes to the mixes, Adding or subtracting ANY ingredient constitutes a change. Parrots Pleasure is our most economical daily feed. This aromatic blend is made up of seeds and grains and complimented with fruits, nuts and vegetables. 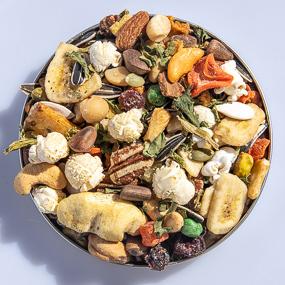 This mix is ideal for all medium to large sized parrots. These include amazons, macaws, cockatoos and african greys. 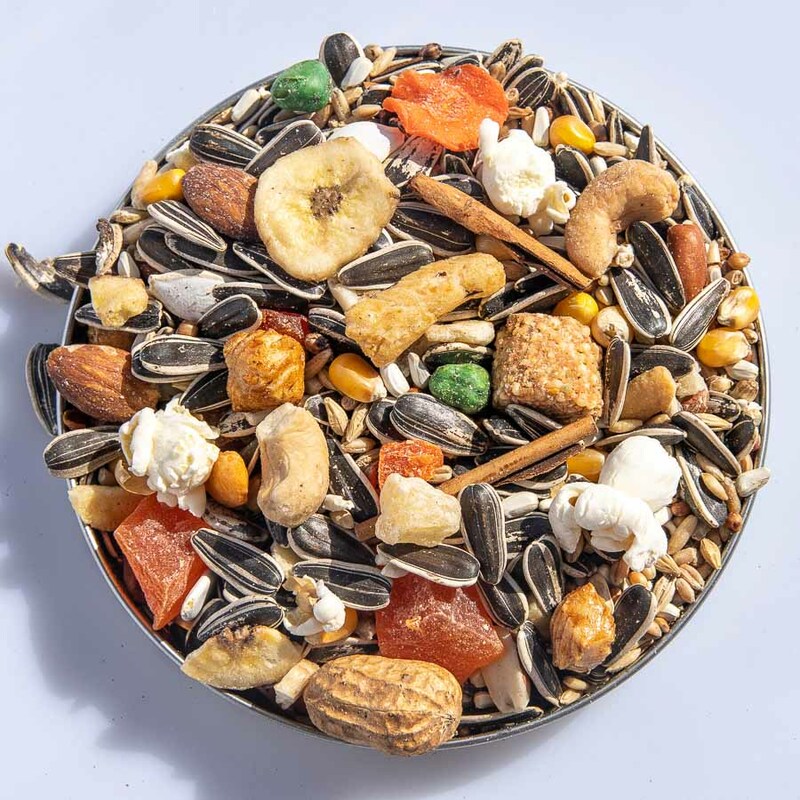 I have been ordering the parrots pleasure mix for many many years and Me & my birds are very happy with the quality and freshness of the food. I have an african grey and a green check conure and the seed is good for both of them. One time I didn't order in time and had to buy seed from the local pet store and they would barely eat it. The seed has a great mixture of nuts, fruits, seeds, popcorn and a few yogurt drops that my grey LOVES. The food smells great unlike the packaged seed from the pet store and the delivery is fast. I highly recommend islandtreat.com. Was very pleased with the freshness of the food and the quick delivery! Thank you so much. I'm a long time customer that has 10 parrots. Don't know how I would be able to feed them any other way. The quality is remarkable and the prices are affordable. Thanks Island Treat!